This may be a new concept for you, just like it was for me three years ago when I began this journey. I didn’t start out with the intention of having three rabbits living indoors. 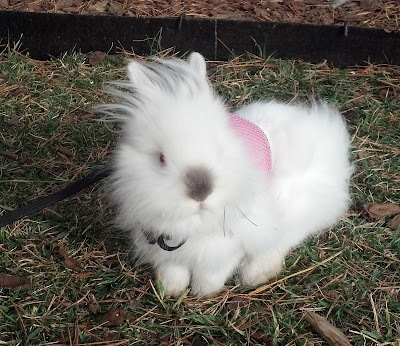 I received my first precious dwarf Lionhead rabbit, Sugar, for a Christmas gift three years ago. 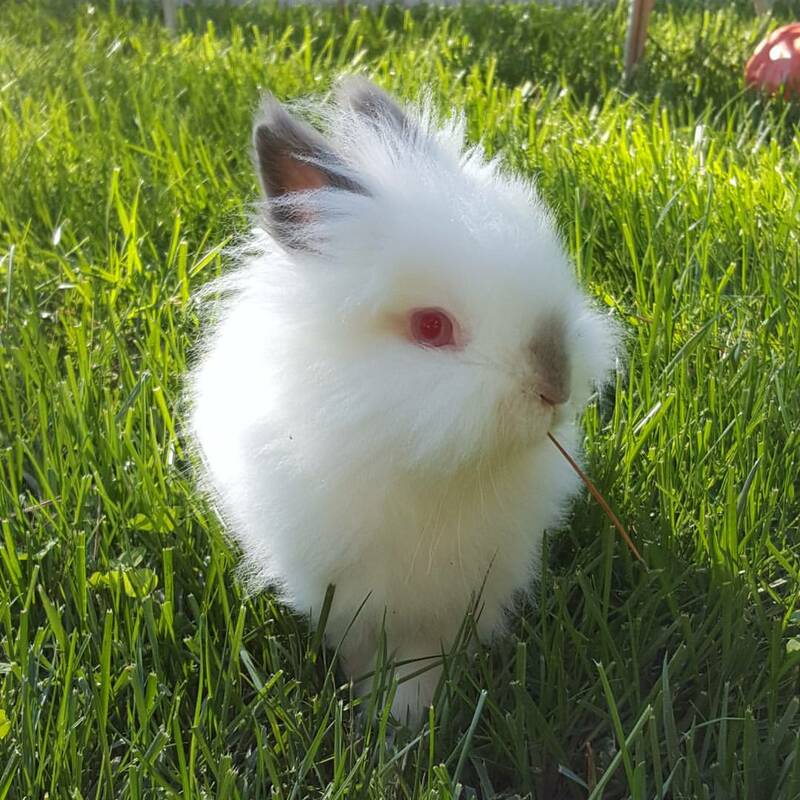 He was a little six month old bunny who had been living in an outdoor hutch his entire life. He was wary of the attention I was giving him, and didn’t understand being inside. However, it didn’t take him long to start exploring the house and testing his boundaries. He was litter box trained in two days, and began returning to his cage on command in about a week. Because he was six months old when we got him, he had already reached the ‘teenager’ stage, and it took approximately six more months before he decided it was safe to bond with me. Now, he is my little shadow. He has an amazing personality, and even though rabbits are considered a silent animal, he voices his opinions loudly with thumps, grunts, and an array of other communications that you simply have to listen to hear. So, Sugar is fully house-trained, travels with us in the car, walks on a leash, responds to commands, ignores us when he chooses, and most of the time eats healthier, organic foods than we do! Around September of that year, I stumbled across two more dwarf Lionheads at a farm store. They were rescues, the discarded remnants from Easter that people had tired of. 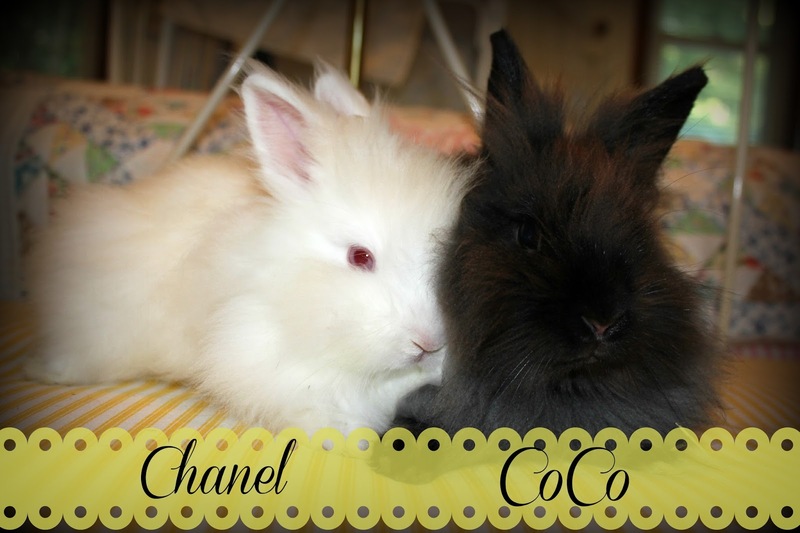 They were living in a tiny cage, on wire, with minimal pellets and water. They were starved both physically and emotionally. I decided to adopt them, and against all the ‘rabbit keeping rules’ I put them together immediately to bond to each other. They were so scared and skiddish of everything that they forged an immediate bond that doesn’t usually happen. They had never tasted freedom, so I set them up in a large room upstairs, with a cage thats only purpose was to house their litter box, food, and water. They have enjoyed complete freedom ever since. It did take them almost a year to accept the fact that they would receive all the food they needed. Ever since then, they have happily frolicked in ‘their’ room, playing games that only they understand, and enjoying being free. 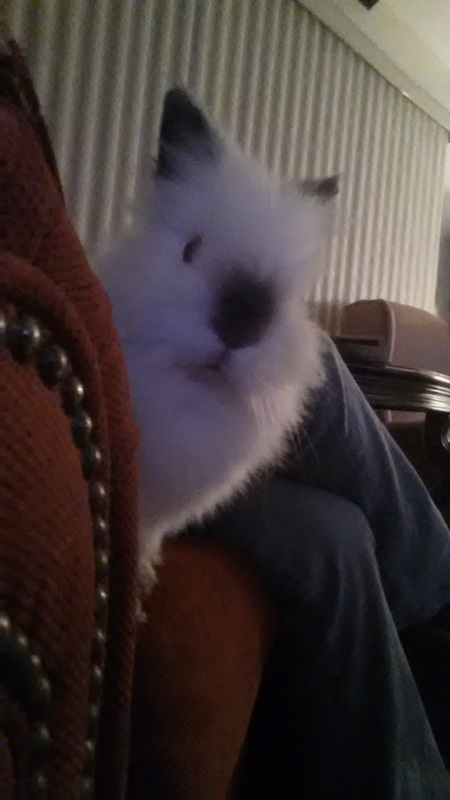 What I didn’t anticipate when I started keeping rabbits, was how much they enjoy being around humans. They love to watch television, snuggle in blankets, and play games. They never miss the sound of the refrigerator opening or a bag of chips rattling. They are great pets, the equal of dogs and cats in just about every way. So, what is the purpose, other than friendship and companionship, of keeping indoor rabbits? Technically, you can carefully trim their beautiful fur if you are a knitter, but the number one useful product that my rabbits produce for me is what I am going to call ‘garden gold.’ I use an all natural, 100% bio-degradable litter in their boxes. Every couple days, I empty the entire contents into my garden. Over the last couple of years, my garden has been lush. Rabbit manure is one of the best fertilizers you can use, and it is considered a ‘cold manure.’ This means that you can use it immediately, without the need to compost it first. Because of this, I am able to use the contents of the litter box year-round. My herb garden produced more last year than it ever has, and I have specifically planted the herbs that are most beneficial to the health of my rabbits. They enjoy getting to eat the fresh and dried herbs that my garden produces year round, and in turn, they provide the fertilizer to replenish the soil. As you can see, the rabbits and I work together to produce a bountiful harvest, and then, together, we reap the rewards.